It was my first weekend in London and I wanted to explore. Not too much though because I had a killer hangover. 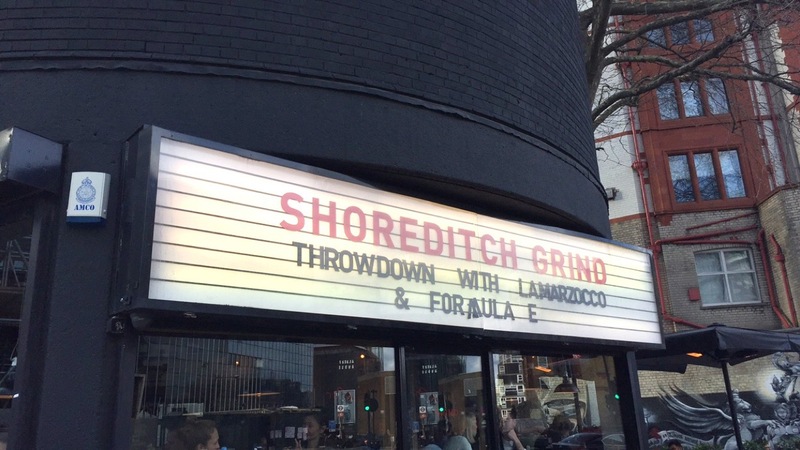 My wanderings led me to discover Shoreditch Grind, part of the wider Grind & Co. chain of cafes/bars which are peppered around the city. There were a few things which drew me to this place, even though I’ve never felt less edgy than when I walked in the door. The wall below has been signed by various big names in music, which just adds to the unique feel of this place. If you find yourself in Shoreditch or Old Street, pop in for a coffee and slice of red velvet cake and you’ll see what I mean. However, despite me feeling a little out of my depth, Shoreditch Grind and I do have one thing in common. A love for latte art. Perhaps we’re not so different after all.